The blogs this year have been few and far between for a variety of reasons, but I’m hoping to be a little more active in 2019, so watch this space. As 2018 draws to a close I decided to have a look back at the cycling year and put together my top ten rides of the year. Old favorites; new challenges; bikes old and new, all with one thing in common. The main ingredient being the simple pleasure derived from riding perhaps man’s finest ever invention, the humble bicycle. 10 – Revolve24 – One team, eight men, and 24hrs spent riding round one of the world’s most famous motor racing circuits, Brands Hatch. We never threatened the leaderboard, but it was a great experience all round. 8 – Welsh Lakes Loop – A warm up for a ride later in the year, but such an Epic route it’s made the cut. The Horseshoe Pass, Lakes Bala and Vyrnwy, climbs a plenty, all wrapped up in a 250km loop. 7 – Telford Toothpaste – Another old favourite, but so special it’s guaranteed to be a highlight of any cycling year. It’s a permanent fixture in the SCS calendar. 6 – South Downs Way – The size of our underestimation of this challenge, was matched only by the amount of improvisation required to bring this one off. This is one that we may need to re-visit…..
5 – The Drum&Monkey – A legendary climb nestled deep in the Shropshire Hills; this one’s a brute. It starts steep, and just gets worse, a real leg breaker. I’m glad I’ve done it, but I’m not sure I’ll be rushing back anytime soon. 4 – Birmingham Canal Loop – A fabulous loop round Birmingham’s extensive network including the truly terrifying Netherton tunnel. A wonderful way of experiencing the 2nd cities industrial heritage, and we even managed to drop into The Vine to sample the Bathams. 3 – TdF Tour 2018 – Our own mini tour to watch the Grand Boucle. Seeing the peloton thundering across the cobbles was a real standout point of the year. And to top the trip off we even managed to haul ourselves up the fearsome Koppenberg. 2 – Shifnal Scouting Cycle Challenge – Our first charity fundraiser for the local scout group. 91 riders on the day, two great routes, and we managed to raise over £1500 as well. So successful, that we’re doing it all again on Sunday 12th May 2019. Entries are open now! 1 – Ed’s Epic – An unorthodox coast to coast route across 2 countries to mark a significant milestone for Ed. Starting at 5am on the welsh coast, this ride had the lot, plenty of highs and lows along the way, but all was forgotten as we rolled into Boston as the light faded. 345kms done, I think the beer was the hardest earned of the year! Another fantastic year on the bike, and 2019 is already looking good. I can’t believe it’s been over a year since the last blog, but as the saying goes life just seems to get in the way. But, we’ve been given the opportunity to get involved in a really exciting project which seems more than worthy of putting together a few words. We’ve teamed up with our local Scouting group to help organise an event in support of their fundraising efforts for a new outdoor activity shelter. 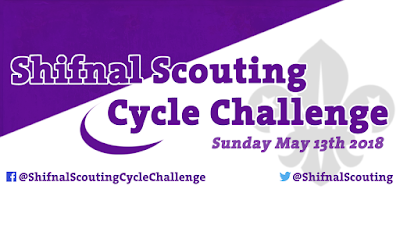 Over a beer or two (no surprises there then), the Shifnal Scouting Cycle Challenge was born. Designed to appeal to all cyclists, this event will hopefully appeal to experienced cyclists and novices alike. Two routes will be available on the day, a 50km challenge for those newer to the sport, and a more challenging 100km route for those looking for more of a challenge. 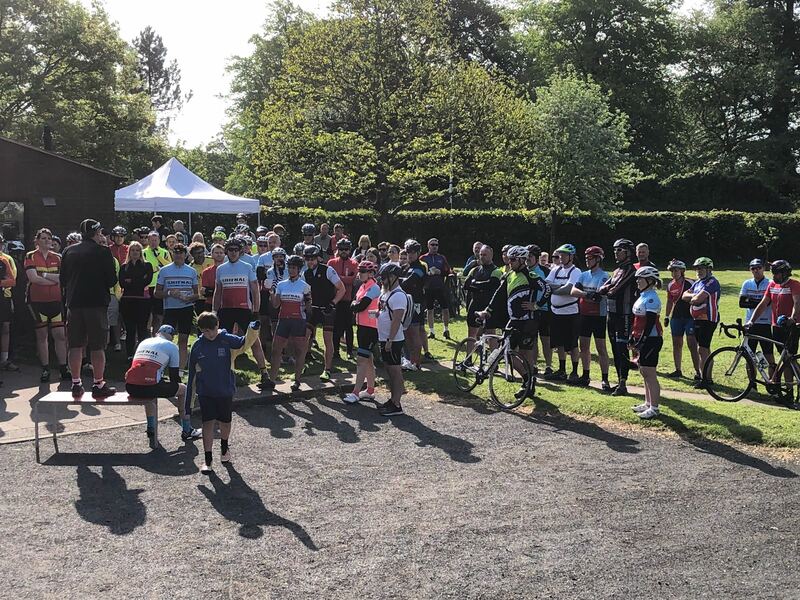 If you read this blog, enjoy riding your bike, and are free for a few hours on Sunday 13th May, why not enter here - https://www.eventbrite.com/e/shifnal-scouting-cycle-challenge-tickets-42725436932 - you’re support would be greatly appreciated. Over the years I’ve been fortunate enough to ride in some stunning locations. From the magnificent Shropshire Hills that are on our door step, to the high peaks of the Alps and Pyrenees, each location offering their own unique cycling experience. Nothing however prepared me for the four days of cycling which I’ve just enjoyed; Scotland’s North Coast 500. Eleven of us made the trip up to Inverness which serves as the start and finish for the route, 10 riders, and our support vehicle driver, Gareth. We’d all prepared as best we could for the challenge ahead, but as we rolled away from Inverness Castle I for one was feeling ever so slightly daunted by the prospect of what lay ahead. Much has been written about the route itself, and all I’d add is that it’s everything you’ll ever read, and so much more. From what’s widely regarded at the toughest climb in the UK, Bealach na Ba, to the relentlessly undulating roads of perhaps the remotest part of Scotland. At times, the assault on your senses threatens to overwhelm you, with hour after hour of stunning scenery. With Lochs and mountains for as far as the eye can see, I don’t think I’ve ever felt smaller and more inconsequential. The scale of the surroundings is just breath-taking. The ride itself is just one aspect a trip like this. Along the way we shared experiences which we’ll remember for a long time, some good, some not so good. All however, playing their own part in making the trip so memorable. Whilst out twitter fuelled detour to the world famous Attadale Gardens may not have been our best decision, visiting the Tea Room still resisting the march of the Latte most certainly was. The quite fabulous Cullen Skink we enjoyed in Ullapool is also worthy of a special mention. Our accommodation along the way is also something we’ll look back on fondly. Whether it was sleeping with wild pigs in the Kinlochewe Bunkhouse, drinking fine malt whiskey in The Rhiconich Hotel, or the quad rooms (named Stalag 17 &amp; 18 by their occupants) in John O’Groats, all added to the overall experience. As the final few miles passed and Inverness came back into view, it began to dawn on me that over the last four days I’d been lucky to experience something really quite special. A massive thanks to those I’ve shared this experience with. Gary, Mark, SA, Darren, Charles, Dai, Max, Nick, and Simon, I only hope you all enjoyed the trip half as much as I did. Chapeau to you all. A special mention to Gareth; our support driver for the trip. An absolutely awesome performance, I’m not sure he’ll ever quite appreciate his contribution to the trip. Thanks for allowing us to focus on the riding. For me this trip has made me re-calibrate what constitutes a great ride, it’s like hitting the re-set button. I’ve really no idea where we go from here……..
taken on, the fearsome North Coast 500. Months of preparation, and many thousands of miles later, it’s now time; the waiting is over. We’re planning on riding the route over four days, which means we’re facing up to some very long days in the saddle. However, this trip is an oh so rare opportunity to devote whole days to the simple pleasure of riding a bike. Throw in some of the most spectacular scenery the British Isles has to offer, and it’s fair to say that this promises to be a very special few days.